you guys.. this cocktail tastes exactly as the title states; pumpkin pie!!!! i thought adding pumpkin puree to a cocktail would be a little weird (it isn't), but i was determined to make a drink that resembled pumpkin pie in a cup (other then a pumpkin spice latte, duh). so here it is! the whiskey is for good measure, because bourbon & pumpkin spice were made for each other. this cocktail will warm you from the inside out this season! 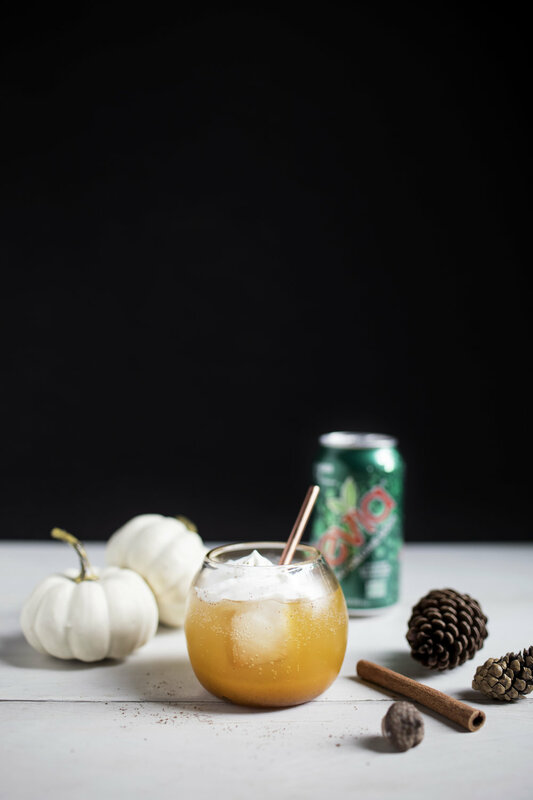 it features whiskey, real pumpkin, pumpkin spice (obv) & a splash of zevia's gingerale. zevia's gingerale gives the cocktail it's fizz, but also adds a touch of zero calorie (zero sugar) sweetness. 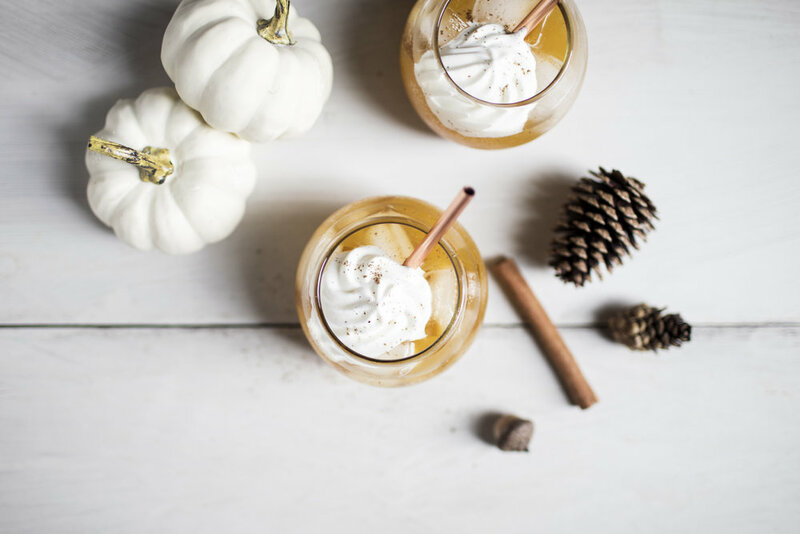 to add a bit more sweetness since the pumpkin puree usually needs something to boost its flavour, you can add liquid stevia, maple syrup, honey or agave! pretty much whatever you have on hand. i topped it with unsweetened fresh whipped cream because there is no such thing as pumpkin pie without a dollop of whipped cream. it also adds a hint of creamy goodness to an already delicious cocktail! one last thing! be sure to strain the mixture through a fine mesh sieve before you serve it, just incase you get any stringy bits from the pumpkin puree. especially if using fresh over canned! a cocktail should always go down smooth. cheers to october! the best month of the year. whisk together the pumpkin puree, sweetener, whiskey, lemon juice, cinnamon, ginger, nutmeg & gingerale. strain mixture through a fine mesh sieve & serve over ice. top with additional gingerale if desired & a dollop of whipped cream.